An avid smart phone user may have anywhere between 5 to 35 apps installed and functional at a given point of time. Applications are evolving into little snippets of code that can bring many of our favorite SaaS software solutions (like Dropbox) and even utilities (like flashlights) to our smart devices. They use phone elements like the camera, the in-built calendar and the gyroscope to offer conveniences that keep us rewardingly engaged on social media or help us navigate crowded roads. What’s more, most of these applications are free to use. Simply visit the Play store and choose the one that takes your fancy. This freedom and flexibility is great. But it often pushes us to download more apps than we ever use. In due course of time, the App Drawer gets crowded, the Home Screen is cluttered and you have to hunt incessantly to find the ones that actually serve a purpose in your life. Some apps may run continuously in the background eating into your bandwidth and exhausting your processing power. If you don’t pay attention to the app mayhem, it can take over your smart device. In this article, we will be discussing how to organize apps on a Samsung Galaxy where you can prevent bloatware from hampering the efficiency of your phone and have your most used applications at your fingertips. All you need to do is organize your apps and get into a habit of maintaining the folders system you create. Let’s go through the instructions to categorize and streamline applications if you possess a Samsung Galaxy phone. 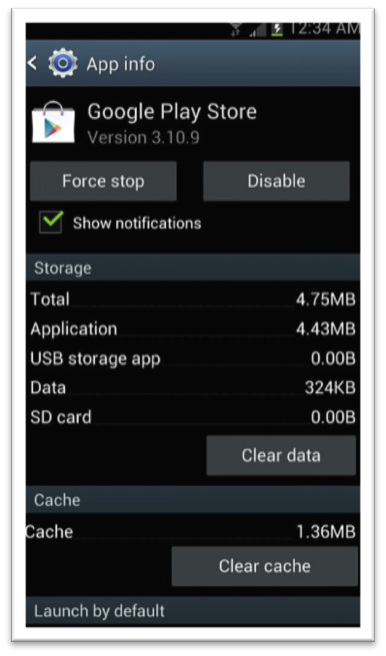 Start off by activating the mobile data on your Samsung Galaxy phone. As soon as you do so, you will receive several “update” notifications on the slide down notification screen. Click it and you will see a list of apps that are no longer up to date. This should give you a good idea of what you haven’t been paying attention to and are likely not using. Go to Settings > navigate to the tab General > click on “Application Manager”. You can now access the all the apps your phone is running. Long press the ones you wish to deactivate and you will be taken to a screen from which you can “Force Stop” or “Disable” them. You now have a clean slate to work with and will only organize the apps that are relevant to you. Apps are generally organized in alphabetical order or by the date of installation. In both instances, applications that serve similar purposes are rarely displayed together. The only way to get around this problem is by creating folders. Folders group apps together by any criterion you see fit. Want all your social media applications together? Create a folder with them and you won’t have to go scrolling for Facebook or Twitter ever again. 1. 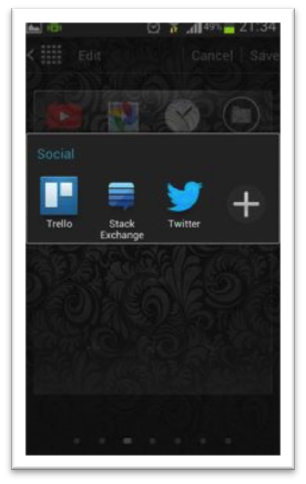 Gather the apps you want in one folder on the same screen. This is important. 2. Now either drop one app icon on another to create a folder or long press the icon and guide it to the folder symbol that appears to the bottom left of the screen. This depends on the version of Android you are using. 3. Name the folder to reflect the nature of the apps in it. 4. Keep adding applications till everything with a similar purpose is in one place. On the Home Screen, clubbing the icons together auto-creates a folder. But if you can’t do this, you need to long press the screen and choose “Create Folder” from the modal. The App Dock on the Home Screen is the most prominent part of it. Yet unfortunately, people do not customize this selection of apps for maximum productivity. 1. Long press the application icons that aren’t required and guide them to the trash bin. 2. Bring the app icons that you do want to dock to the Home Screen and drag them to the App Dock. You can even add folders to the Dock. Widgets are extensions of fully functional apps and they allow you to peruse information like the temperature and calendar appointments without opening the associated applications. You save time as well as processor power this way. Don’t overdo widgets but have the most essential ones on the home screen so that you can stay updated of what matters to you. Organizing Samsung Galaxy apps shouldn’t be tedious. The interface is smooth and the device boasts all the features that make Android phones a crowd favorite. Whether you simply disable apps or go the whole way, you will cut some of the chaos out of your smart phone user experience.